While the Christmas season may be over, a great baby gift can be given any time of the year. 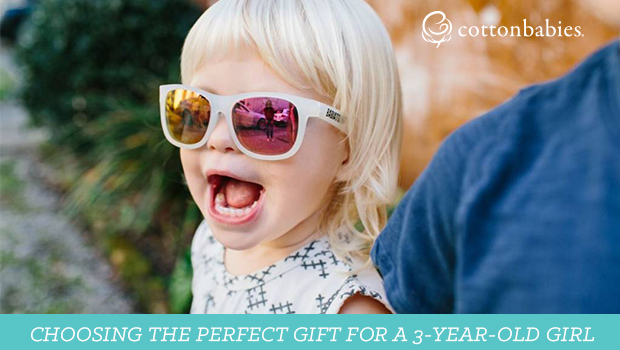 There are some tried and true baby gifts that the staff at Cotton Babies – most of who are parents – adore. A supportive baby carrier is essential to many parents. It allows baby to feel the closeness of a parent or caregiver while provider the wearer to have the freedom to get things done. Where it’s walking the dog, doing some dishes or just eating a meal, baby carriers definitely come in handy around the house. If parents are worried about germs at the grocery store or church, a baby carrier is an excellent way to keep well-meaning germ carriers at bay. A baby carrier makes an excellent baby gift for new moms and dads. Muslin swaddles have many uses! They are one of the most multipurpose gifts available. A nice swaddle can be used to swaddle baby, clean up messes as a burp cloth, cover baby’s car seat or stroller, function as a nursing cover, a play mat on the floor, the backdrop for a photo op, and much more. We carry tons of adorable prints that fit parents’ style or complement baby’s nursery. Truly, a baby gift that will be used day after day. There are lots of baby soaps on the market. Carcass Cleaner by CJs Butter is a favorite because of its gentle formula and the fact that it has so many uses: body wash, cloth wipes solution, face wash, hand soap, body soap, shampoo and/or shaving cream. Keep it simple and use 1 product that does it all. 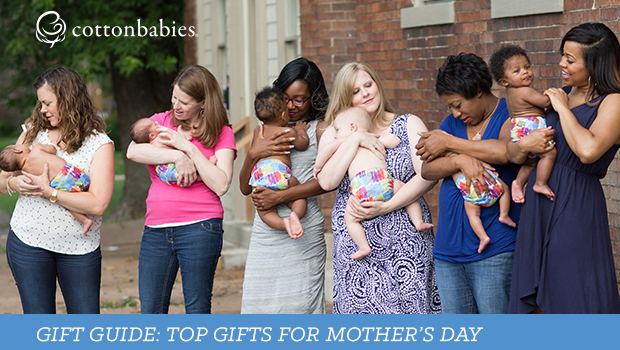 Baby gifts that also serve an educational purpose are gifts you can feel good about giving. Fat Brain Toys offer many toys that are colorful, long-lasting, and encourage open-ended play. When there are no rules, kids let their imaginations guide their play. Toys like Dimpl are fun for babies and continue to be a great toy into toddlerhood and beyond. 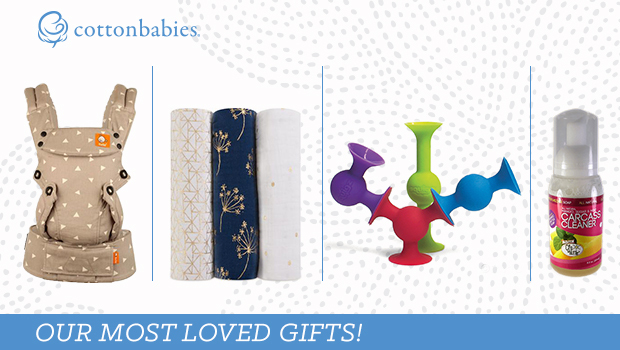 These are just a few of our favorite gifts for welcoming new babies. 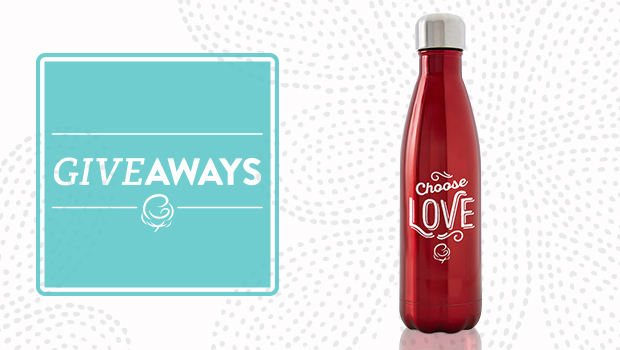 Check back for more great gift ideas!